Its been a very busy year for me with restoring several museum collections, working on a few books, and many of those activities have taken me away from actually doing what I love, which is making art. Finally that is changing and I will be active again with new artworks, including a major commission which I will start posting the progress of soon. One of the many activities I have been involved in is curating a museum show which will be opening November 5th, at the Clark County Historical Museum, Vancouver, Washtington. I am very honored to co-curate this show with Steve Grafe Phd, who is the curator of Maryhill Museum of Art and a noted scholar on Plateau Indian Beadwork. The show will feature never before displayed beadwork from the Clark County Historical Museum Collection, as well as some generous loans of beadwork from some very prestigious private collections. The show will be up until 2017. 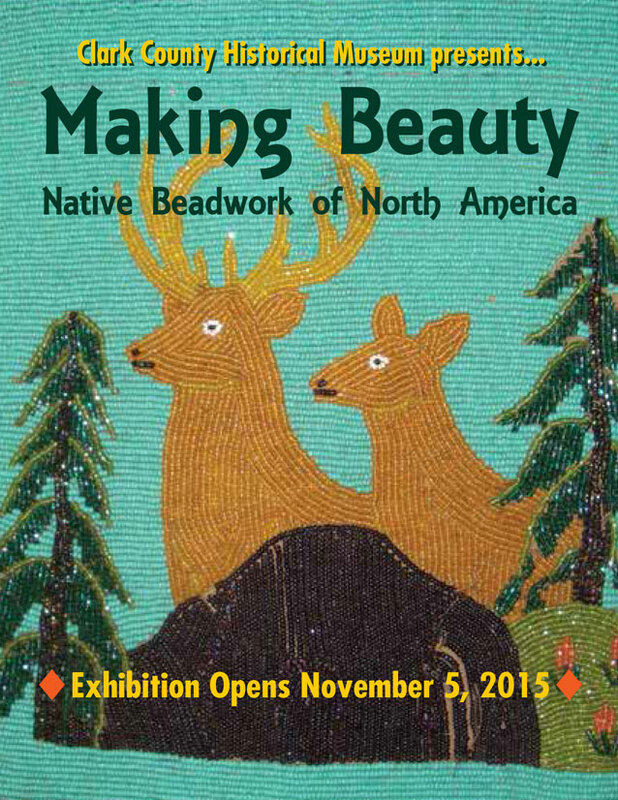 Here is the link to the exhibit http://www.cchmuseum.org/making-beauty/. A publication for the show is also in the works. We also will feature contemporary beadwork as well, because we feel that Native art is a continuing narrative. Notables like Rhonda Holy Bear, Charlene Holy Bear, Jackie Larson Bread, Molly Adams, Miles Miller and humbly, myself, will have our work on display. And there will be planned activities thru out the two year run featuring the local Native community. One of the pieces I made which will be in the show is my spin on the current trend of beadwork artists beading high end designer shoes. I instead made very traditionally constructed moccasins, using designer materials. 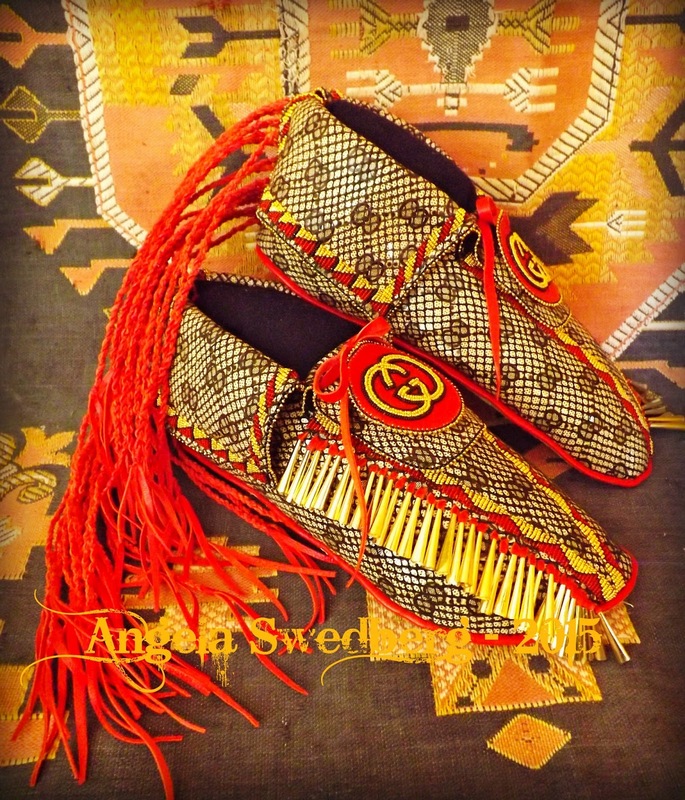 I call them "If Gucci was a straight dancer from Oklahoma". Who knows….maybe he would have made something like this. "If Gucci was a straight dancer from Oklahoma" - Imported Italian calf skin, 24k gold beads, gold plated cones, hand tanned rawhide soles. Please come by to view the exhibit if you find yourself in in the area.